Russell Larry Alexander, age 72, of Douglas, Georgia passed away on Tuesday February 5, 2019 at his residence. 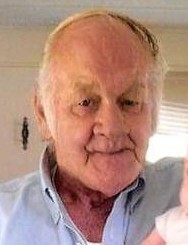 Mr. Alexander was born on April 14, 1946 in Zanesville, Ohio the son of the late Thomas Arthur Alexander and Alice Eleanor Cummings Alexander. He worked as a painter and was preceded in death by a son, Thomas Arthur Alexander and a sister, Mary Davis. Survivors include his wife, Connie Alexander of Douglas, GA; four sons, Russell Alexander (Cathy) of Lake City, FL, James Alexander (Lisa) of Ocala, FL. Brian Alexander of Douglas, GA and Thomas Allen Alexander (Donna) of Douglas, GA; two daughters, Lisa Heath (Gerald) of Commerce, GA and Brandy Alexander of Covington, GA; two brothers, Don Alexander of Lax, GA and Chuck Alexander of Kissimmee, FL; sister, Eleanor Gill of Kissimmee, FL; fifteen grandchildren and twenty eight great grandchildren. Funeral services will be held on Friday February 8, 2019 at 4:00pm at Union Primitive Baptist Church with Rev. Harris Johnson officiating. Interment will follow at Paulk Cemetery. The family will receive friends Friday from 2:30pm until 4pm prior to the service at the church. Pallbearers will be Russell B Alexander Jr, Russell C. Alexander, James Alexander, Brian Alexander, Thomas Alexander, Randall Heath, Michael Heath, Robert Heath and Shawn Alexander. In lieu of flowers donations may be made to Sims Funeral Home to help with funeral expenses. Sims Funeral Home, Douglas, GA in charge of arrangements.